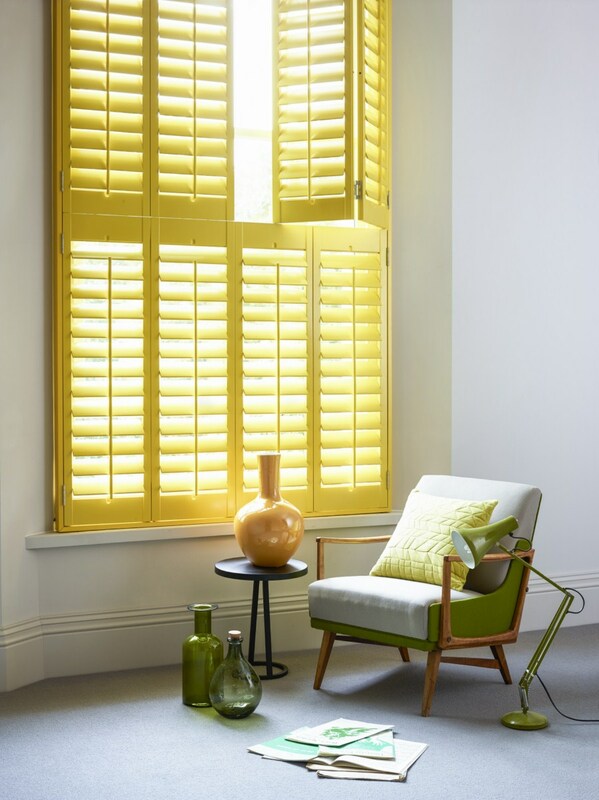 Shake off winter and embrace the sunshine that’s to come by injecting a shot of joyful, life-affirming yellow into your home via your shutters. Shake off winter and embrace the sunshine that’s to come by injecting a shot of joyful, life-affirming yellow into your home! You’ll have read about adding a dash of colour with your cushions and rugs, but why not embrace colour fully and incorporate it as part of your home’s DNA by going colourful with your shutters. This season yellow is having a moment and it’s easy to see why. Daffodil yellow is a fresh taste of spring that can enliven any room, while warmer yellows work brilliantly with other summer shades like pale pink and blue. Here are our top three ways to add sunshine for spring with yellow shutters. Yellow has always been popular for kitchens. It gives that classic farmhouse warmth that we associate with a comfy kitchen space, without making the room feel dark. But you don’t have to have an Aga and chickens to bring yellow into your kitchen. A citrus or mustard yellow are both more modern shades that work brilliantly with gloss white units, black worktops or just natural wood. 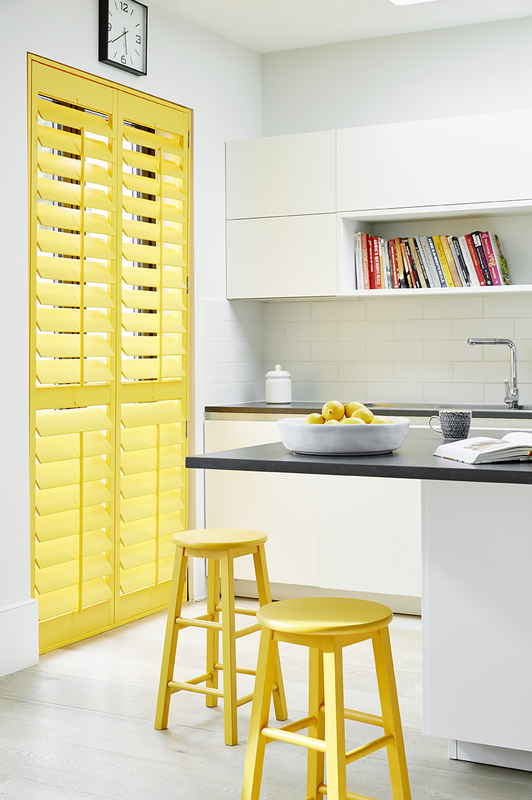 Adding yellow shutters to your kitchen window will make the whole space feel cheerful even on a dingy day, so why not expand your horizons and also add yellow to your sliding doors too? A softer take that is pure summer is to mix in a pale yellow with other pastel shades. Yellow can be a bit rich, so temper it with the colours you’d find in a 50s ice cream parlour – peach, baby blue, candy floss pink and mint green. These colours look their best when set off against a crisp white background, but as this picture shows they all work wonderfully well together. It might seem daring but there is no reason you have to limit yourself to one colour for your shutters, so why not whip up a spring scheme that uses a little bit of all of them. The warm wood tones and simple shapes of classic Mid-century modernism are super chic, but can be a bit austere. Adding yellow brings out the warmth of the wood and adds a lightness that can soften the masculine look of Scandi chic – and it also works perfectly if you already have an classic Scandinavian all-white colour scheme. At Shutterly Fabulous we love colour, and our shutters are available in pretty much any custom colour you can think of – for more information see our full range.